A few days ago, jim2 had asked me if I could suggest some day hikes off of FM 170 in Big Bend Ranch State Park. Rather than send him my suggestion via private message I thought that I would post it publicly for all to enjoy. This hike begins and ends at the West Contrabando Trailhead on FM170 roughly 7 miles West of the Barton Warnock Visitor Center in sunny Lajitas, TX. From the trailhead, take the new Fresno Divide Trail north 3.2 miles to its intersection with the Contrabando Dome Loop. The Fresno Divide provides sweeping views of both the Contrabando and Fresno Creek drainage basin, as well as picture perfect view of the Flatirons of the Solitario just before it dives precipitously into the Dome. Within the Dome, follow the northern leg of the loop 0.8 mile to its intersection with the Buena Suerte Trail. This trail is actually the old freight road that once provided the only connection between the rail head in Marfa to the Terlingua Mining District via Lajitas. Follow this old road north past the historic Whitroy Mine and the old Buena Suerte flotation mill roughly 1.2 miles into Fresno Canyon just below the Wax Factory Laccolith. Like their better known contemporaries in Terlingua, the mines here produced cinnabar ore that was processed into mercury. The Buena Suerte mine was owned and operated by Harris Smith and Homer Wilson (yes that Homer Wilson) between 1936 and 1944, during which time it churned out thousands of flasks of mercury. The ore bodies were once again mined in the late 1960's as the Whitroy Mine, but this was a far less successful endeavor. The ruins of the mine village, named Fresno, TX, is on private property, so please respect this place and view it from the State Park side of the fence. From Fresno Canyon, go downstream (south) and follow the creek for 2 miles to the Fresno Narrows. This geological feature is the result of a basalt intrusion that is significantly harder than the surrounding material such that the water has eroded a much more narrow channel that above or below it. Take care in navigating the slick, water worn rock in this feature and try not to get wet as the plunge pool at its base almost always holds water. Also take note of the rock house on the eastern bank of the narrows; this structure was built and occupied by the Rios family during the 1930's and 40's and represents one of the few (if not only)gabled roofs present in this type of architecture in the region. From the narrows, continue walking south down the canyon for another 1.7 miles to the point where the creek is crossed by a historic blacktop road. Keep a close eye to the eastern bank of the creek for a brown trail marker for your exit back to the trailhead. If you make it all the way to the bridge, you have gone too far! Follow the roadway for another .25 mile up the terraces and back to the trailhead and complete the day. Total mileage for the day is around 9.2 miles. For a shorter option, just hike the Fresno Divide trail to the saddle and back (6.4 miles) or follow the canyon to the Fresno Narrows and back (4 miles). This hike, as many of the hikes in Big Bend Ranch State Park do, exposes one to a great deal of history along the way. Please respect this legacy by leaving all rocks and artifacts exactly where you found them. Even rusty old junk can provide us with surprising insights into the lives of those who left it behind, but it is critical that it remain in place for that story to survive. Please also refrain from entering or climbing on any ruins that you may find. While they have lasted this long, they are incredibly fragile as well as being potentially very dangerous. We are all stewards of our past and it is up to all of us to insure that this legacy will remain for the centuries to come. Don't forget to come by the Barton Warnock before the hike to get your entry permit and afterwards to tell us how you like it. Enjoy and be safe out there! Thanks Tim, that sounds like a great hike! Sounds awesome Tim. Looking forward to coming back to The Ranch soon! Thanks for the excellent info, Tim! We'll put this on our short list - it sounds really interesting! I appreciate your posting it here where those of us who care about such things and their preservation can help preserve it. "Hey, how 'bout a Fandango..?" Is the Old Freight Trail (Buena Suerte Trail) the same one W.D. Smithers mentions in his book Chronicles of Big Bend that the military used to supply the Lajitas camp? "Do or Do Not, There Is No Try"
The Marfa – Terlingua Road was started around 1899. It was built by contract to connect newly developing cinnabar mines with the railhead at Marfa. During this period Terlingua was the name given to the community around the rapidly expanding Marfa and Mariposa Mining Company. Most of the freight and logistical support was transported to the mines by 6-up mule drawn wagons. They returned to Marfa with flasks of mercury. A two seat hack with a canopy top provided stage service, taking two days or more to transport passengers and mail. The two-day trip cost $9, including meals and overnight accommodations. Heavy freight could take as long as ten days to reach Terlingua on the 90 mile one-way trip. 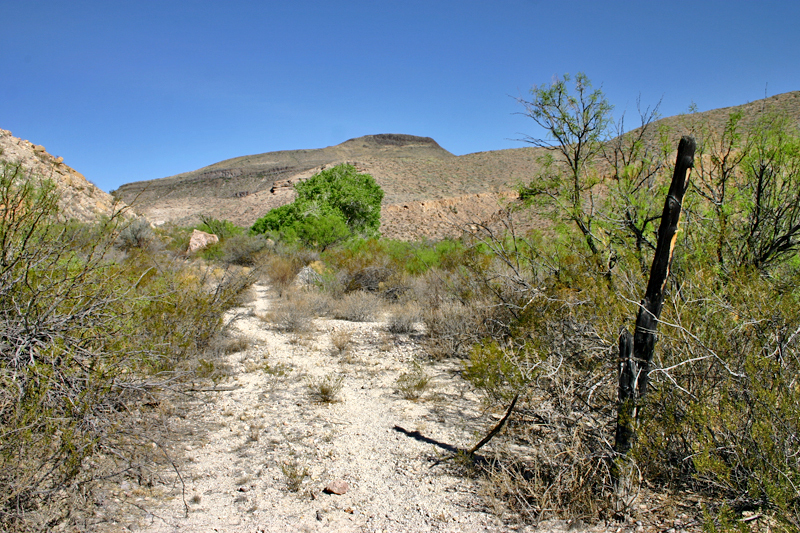 A spur branched off the lower part of the road to connect with Lajitas. Several Army mule pack trains passed by every week, going to and from Lajitas when the U.S.cavalry was stationed on the Rio Grande. During the later stages of the Mexican Revolution around 1917, the road was used by the new mechanized cavalry and was the shortest route connecting the U.S. military camps of Polvo and Lajitas. During this time, the route through Fresno Canyon was the main road between Lajitas, Terlingua and Marfa; but by 1920 the main roads shifted eastward, with Alpine the railhead and primary nexus. 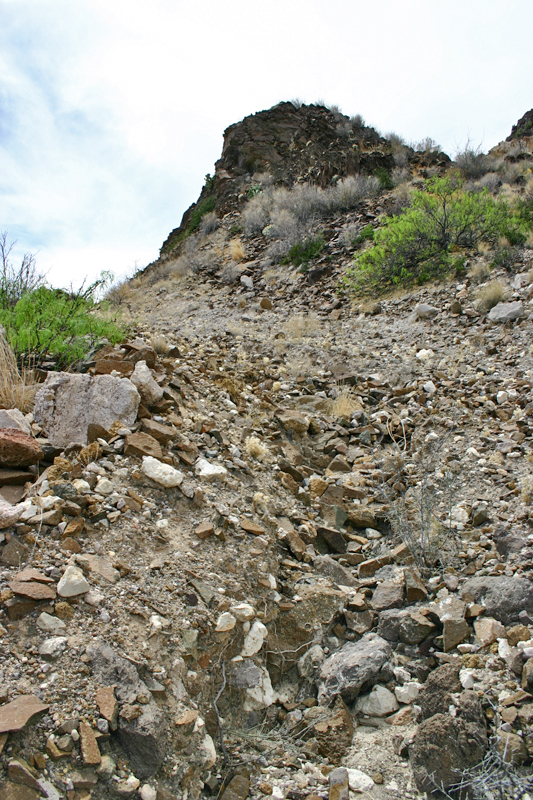 The once-public road through Fresno Canyon was closed to the public during the Fowlkes ownership of the Sauceda Ranch. A new public road from present day Terlingua - Study Butte to Alpine became the preferred route in support of the cinnabar industry, as mercury was a strategic material for the WWII effort. 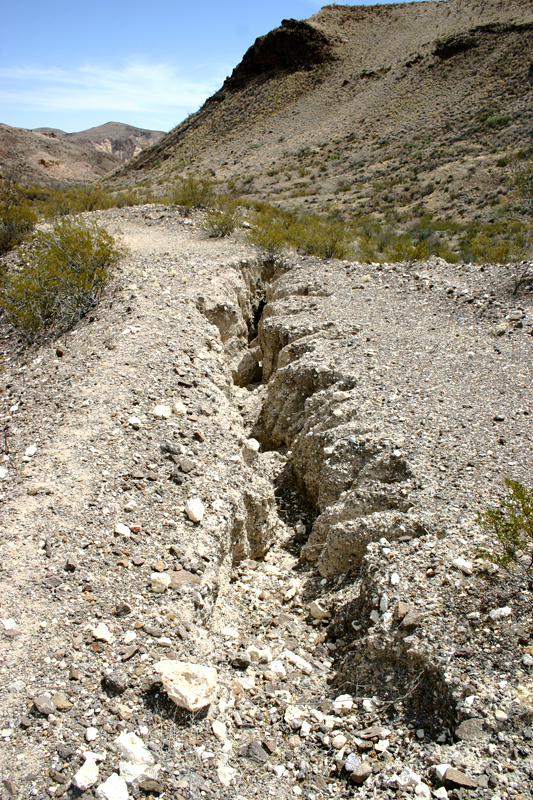 The original route of the Marfa – Terlingua Road is overprinted by state highways, county roads and by the jeep trail that once ran up Fresno Canyon. 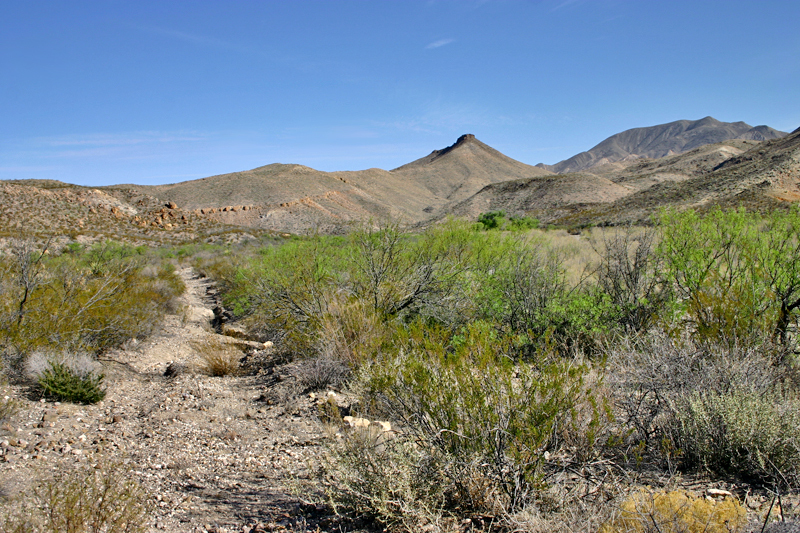 Buena Suerte Road through the Contrabando Lowlands in Big Bend Ranch State Park (BBRSP) can still be experienced today, however, as the route of the historic Marfa –Terlingua Road. BBRSP visitors can drive, mountain bike or hike portions of the historic road in upper Fresno Canyon. Compiled by David H. Riskind, Natural Resources Program Director and Linda Hedges, Regional Interpretive Specialist, TPWD. Jan 2013.
very interesting, thanks for the info! Is there a 4WD road from 170 to the Guale 2 campsite? I am looking on Google earth and it looks like there is one. Thanks Steelfrog! So I could just cut off of 170 and take that road to Guale 2? It would save me a ton of time, I think. I have a Jeep with 35's and a 3inch lift. There is only one way in from 170 into Sauceda and all points interior. Forget about what you might see in Google Earth regarding "short-cuts". BBRSP is not a place where you try to "save time". Take Casa Piedra or Bofecillos to the Main Park Road East. The Guale area can be reached from Agua Adentro or the Eastern leg of the Oso Loop. It is a very rugged road and takes at least an hour to drive one way. I drove some of those roads from 170 up into the mountains during the early 1980's before State Park days and before the campsites were ever in place and they were bad back then when they were "good" and "maintained" by Anderson's ranch personnel. We had to stop may times and pry rocks off the road so we could continue. And we had a high clearance 4-wheel drive vehicle. We never went anywhere without a pry bar, pick & axe and a shovel. I imagine that any road that might be "open" is impassable after almost 40 years of no maintenance. The roads "exist" on old USGS topo maps but that doesn't mean they are there anymore.